flower from September through to March. 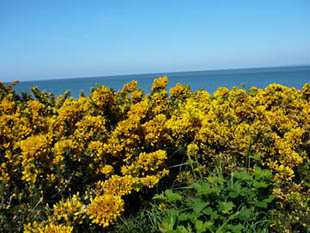 roads and motorways, and on heaths, sea-cliffs and sand dunes. it a competitive advantage in nutrient poor soils. 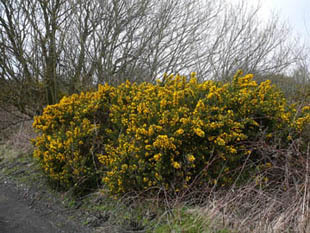 Gorse is a native, spiny shrub, growing up to 3m. 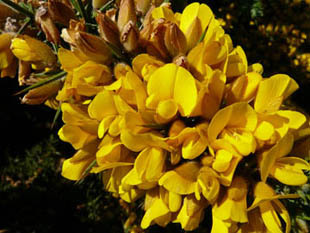 which flowers in the winter months. 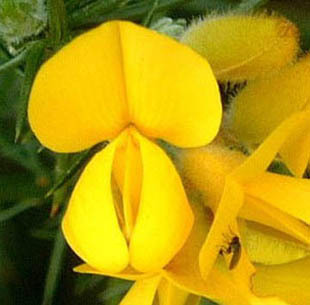 Flowers are up to 15mm and deep yellow. 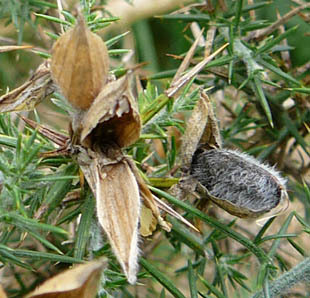 The pods are also up to 15mm and burst in the summer. The branches are mainly upright. 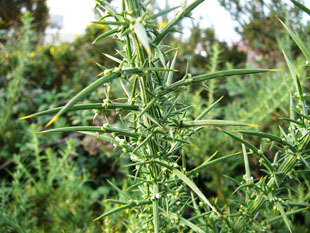 Spines are up to 2cm and furrowed. fuel, animal fodder and besoms.